In 1855, Owensville became the third county seat of Robertson County. The contract for the construction of the courthouse was made that year and the name was chosen to honor the Robertson County Clerk, Harrison Owen. The following year the county records were moved from Wheellock. A post office was granted in 1856 and Owensville remained the county seat until the end of the Civil War. In 1868, unpopular Reconstructionist County Judge I. B. Ellison ordered records to be moved to Calvert. Calvert was declared Robertson County�s 4th seat of government in Mid 1870. Owensville�s post office stayed open until 1872 and except for a short-lived reopening in the late 1890s, it closed its doors for good. 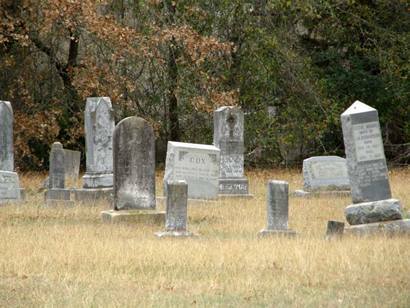 Today all that�s left of Owensville is the cemetery. Robertson County's third county seat was located here, 1855-69, on land given by D. H. Love (1816-66). 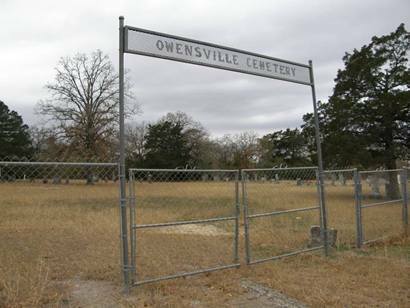 The town was Owensville, named for Harrison Owen (1803-96), who was the first county clerk, 1838-47. Public officials, doctors, lawyers, businesses moved here and town thrived. 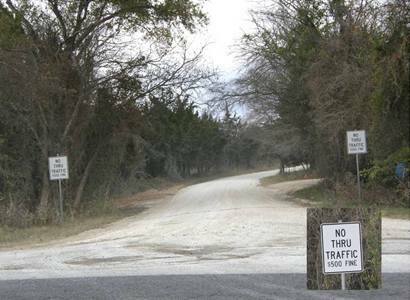 It was on Houston-Waco mail, stage, and freighting road. 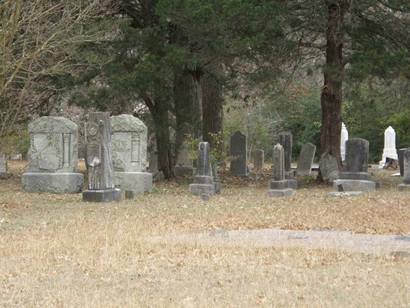 As Civil War (1861-65) county seat, this place armed and dispatched soldiers, and cared for civilians. 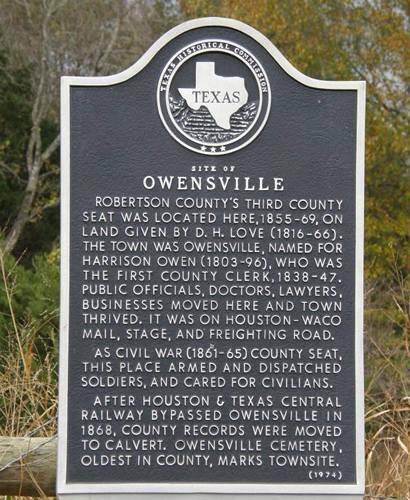 After Houston & Texas Central Railway bypassed Owensville in 1868, county records were moved to Calvert. 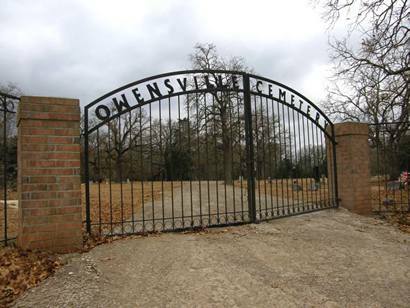 Owensville Cemetery, oldest in county, marks townsite.